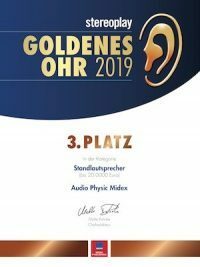 22,836 readers of Audio and stereoplay have voted the "Golden Ear 2019". Our model "MIDEX" (pair price from 8.990 €) took 3rd place in the category floorstanding loudspeakers (up to 20.000 €). We are very happy and thank the readers and the editors of Audio and stereoplay.